eClass is organized into courses. These are most commonly linked to Bear Tracks credit sections but can include sandbox courses, resource courses, and non-credit courses. Once you log in, you will be brought to your eClass Home page. Every open course that you are enrolled in is listed in the eClass Overview block in the center panel. If you are a student, you should only see the current term's courses and any others that the instructor has chosen to make available to you. If you are an instructor, you will see all term's courses, regardless of their availability to student. 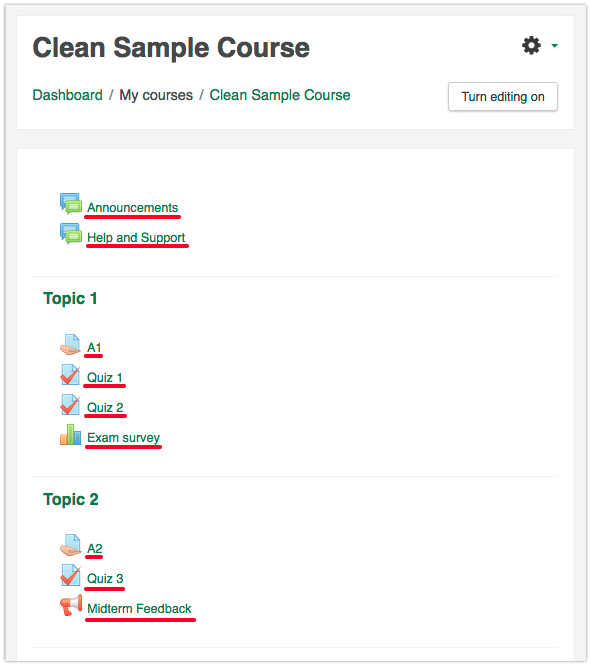 If a course is greyed out in this list, it is not available for students - only courses with green active links can be accessed by your students. For more information on how to change the availability of your course for your students see: Controlling Student Access to Your Course. To access course materials, click on the title of any course. 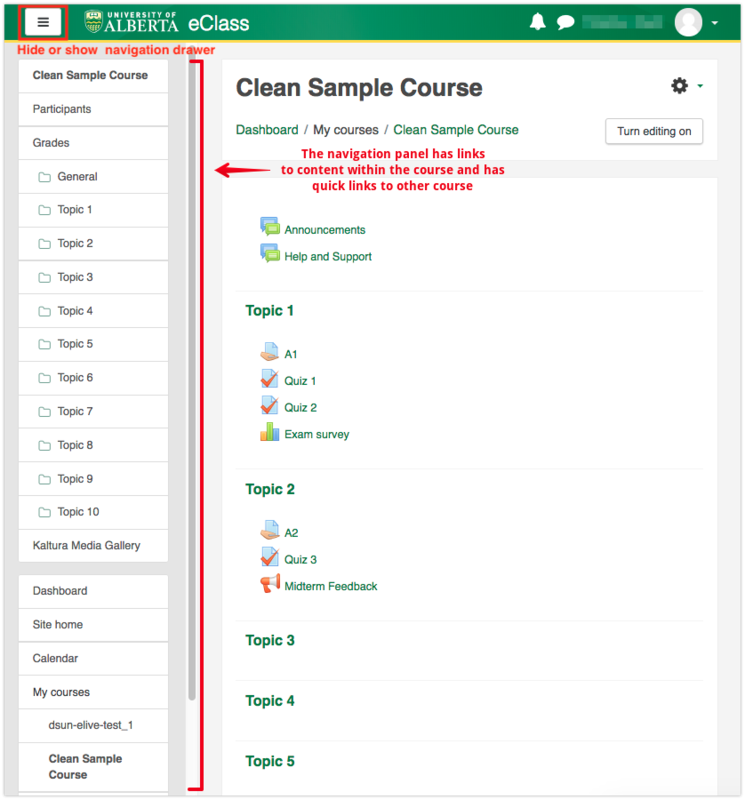 This will take you to that course's main page which will list links to any materials or activities available.